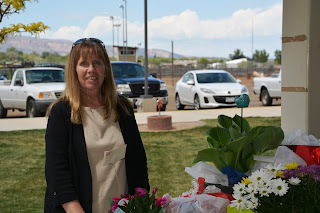 Mesa County Public Health Child Care Licensing Specialist Audrey Osgood visits DeBeque District 49's new preschool expected to open in August. 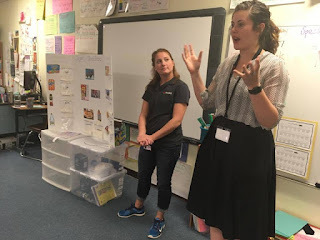 MCPH Intern Katie Panega, left, and Health Promotion Specialist Katie Smith talk nutrition with Clifton Elementary School third graders on Thursday. 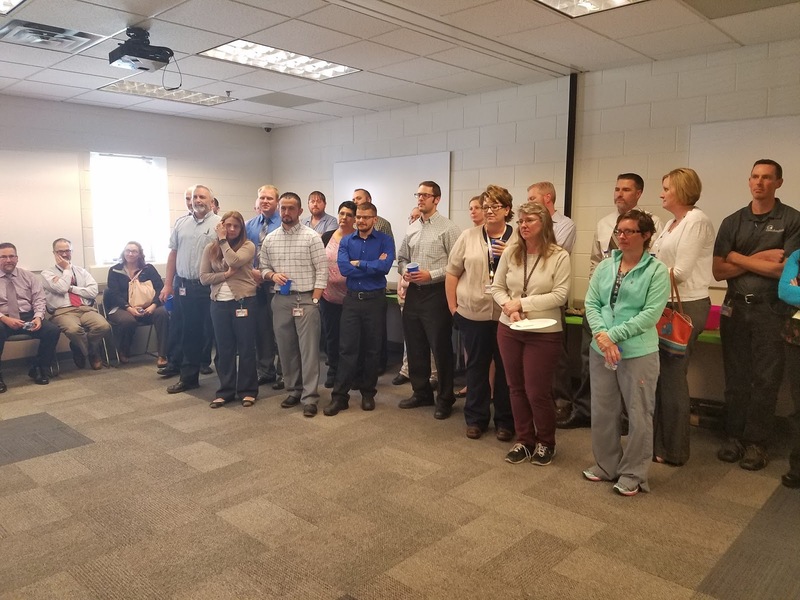 MCPH Program Integration Manager Sarah Robinson talks to staff about suicide warning signs at an all staff meeting this week. 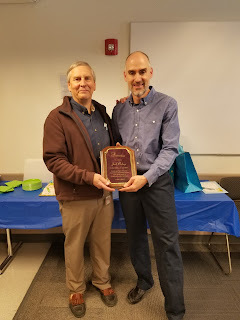 On April 12, 2017, Mesa County Criminal Justice Services Director Dennis Berry, left, presented Mesa County Criminal Justice Services Manager Joel Bishop with a plaque in recognition of his 21 years of service. 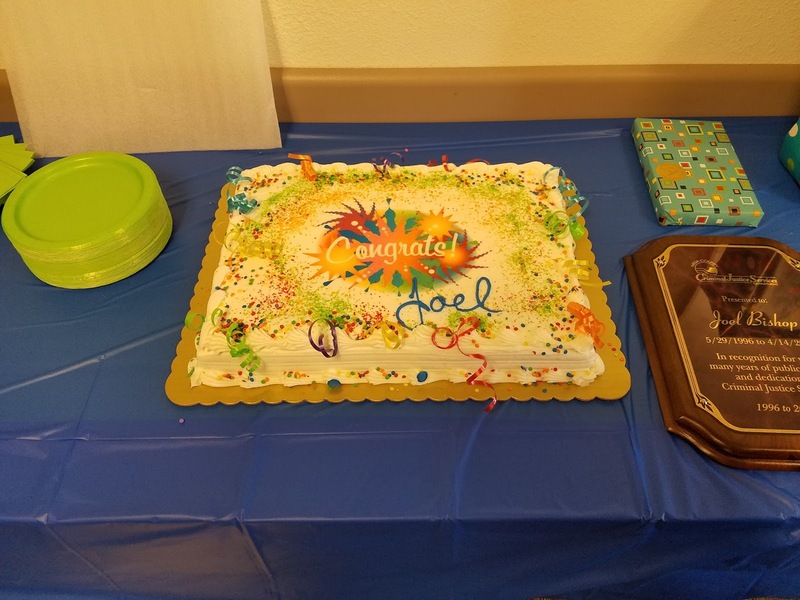 The Mesa County Criminal Justice Services Department hosted a farewell celebration for Joel Bishop, who will depart from Mesa County to join El Paso, Texas where he will oversee a similar, but much larger criminal justice department. Congratulations. 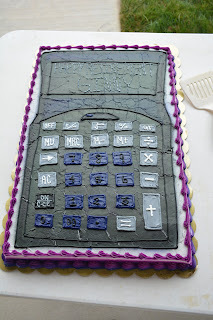 Joel! 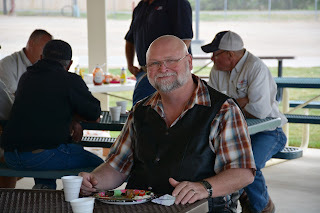 CJSD Manager Joel Bishop's farewell was well attended. 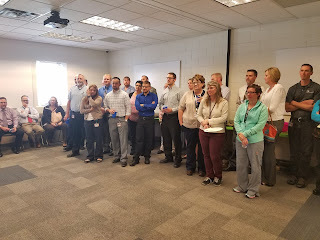 Many of his colleagues took the time to talk about the what a positive influence Bishop has been to our community on many different levels. Bishop has been influential in the success of the implementation of reforms to the pre-trial justice system which have gained national recognition. 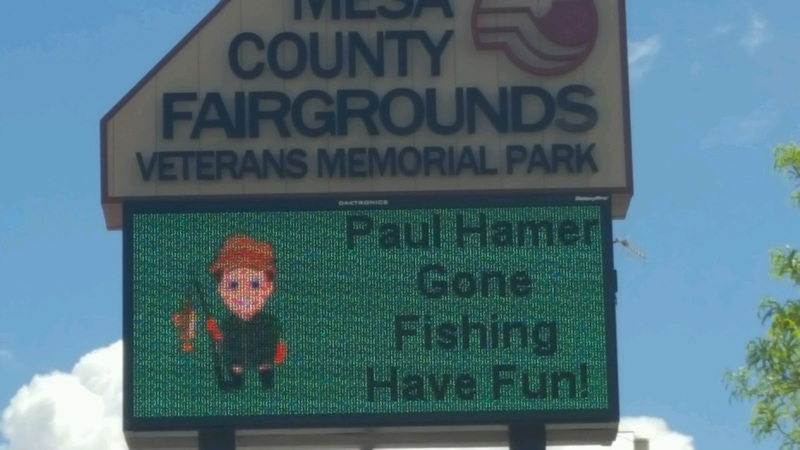 His integrity, years of experience and expertise will be missed. 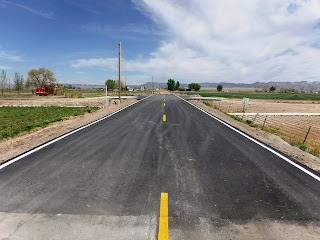 11 8/10 Road to Highline Lake gets pavement overlay, which is an application of a layer of hot bituminous paving to an existing paved road deteriorated by years of wear from traffic and the environment. This week the bridge deck work continues on the 29.5-E.63 Bridge Replacement Project. 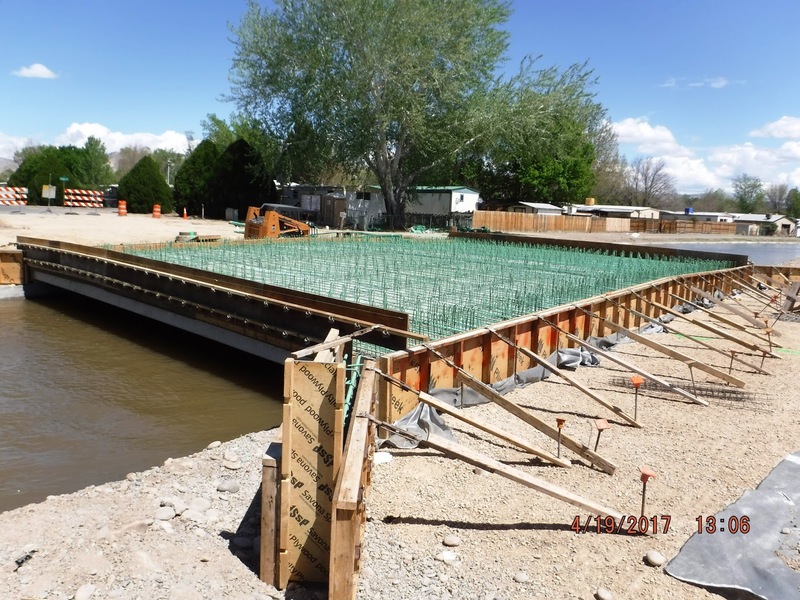 The bridge, located between Patterson Road and Orchard Ave., will be completed summer 2017. 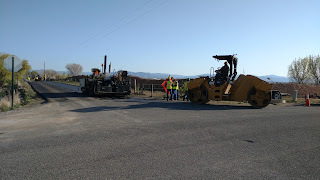 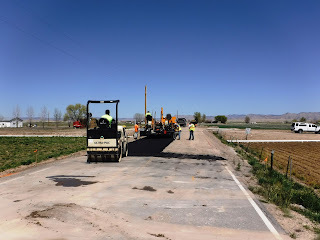 Construction crews work on paving 16 Road. 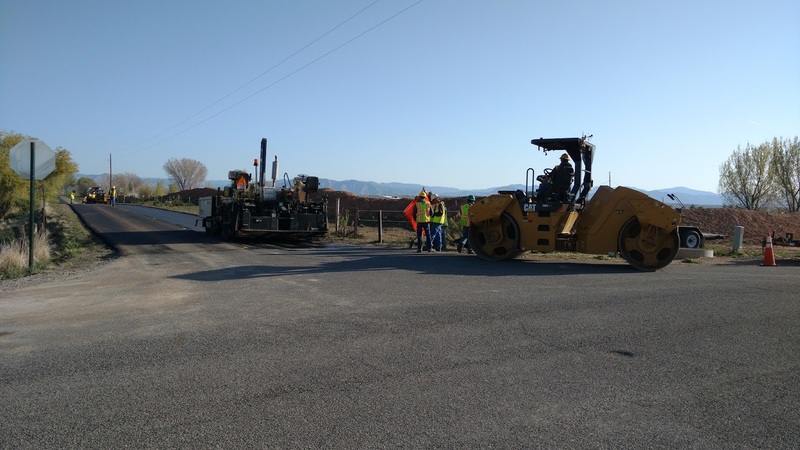 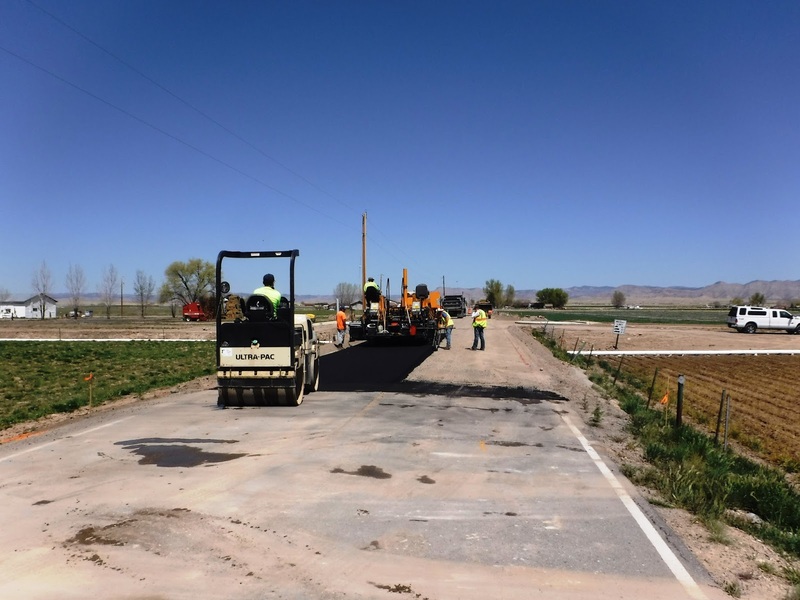 As part of the Mesa County MM-16-N.3 and MM-16-O.5 Bridge Replacement project, 16 Road was paved last week. The project is scheduled to be completed by the end of May 2017. 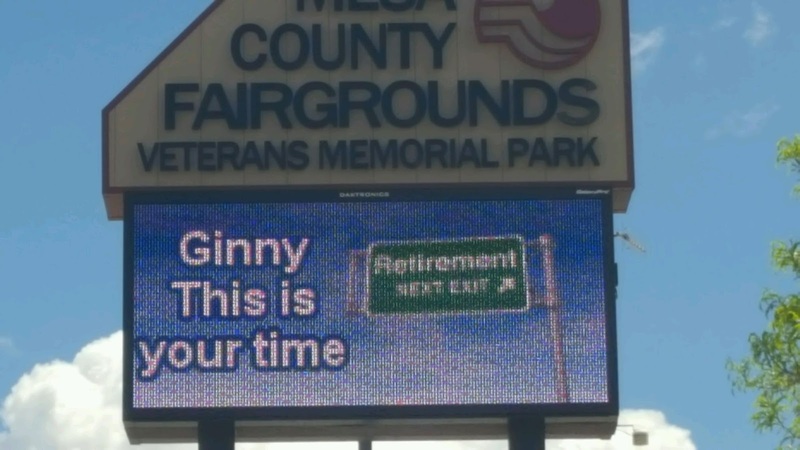 Mesa County Facilities and Parks Accounting Specialist Ginny Koerner celebrates her retirement. 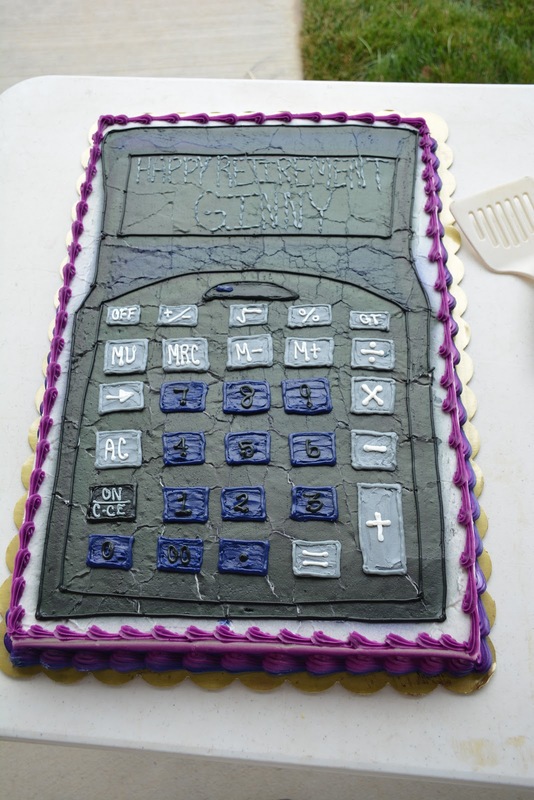 Mesa County Facilities and Parks Accounting Specialist Ginny Koerner receives a special calculator cake in recognition of her 12 years of service and dedication to the Facilities and Parks Department. Mesa County Facilities Director Greg Linza recognizes and praises Mesa County Facilities and Parks Accounting Specialist Ginny Koerner at her retirement party. 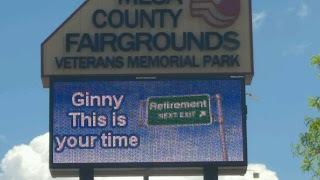 Ginny and her husband, look forward to traveling, volunteering in our community, and enjoying time spent in their garden. Mesa County Administrator Frank Whidden joins the staff at the Mesa County Fairgrounds campus to celebrate Ginny Koerner's years of service. Koerner has been with Mesa County since August of 2005. 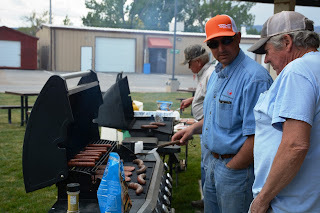 Mesa County Fairgrounds and Facilities and Parks staff members grill brats at Ginny Koerner's retirement party on Thursday. Mesa County Facilities and Parks Maintenance Technician Paul Hamer, right, was also celebrating his retirement after 7 years of service. 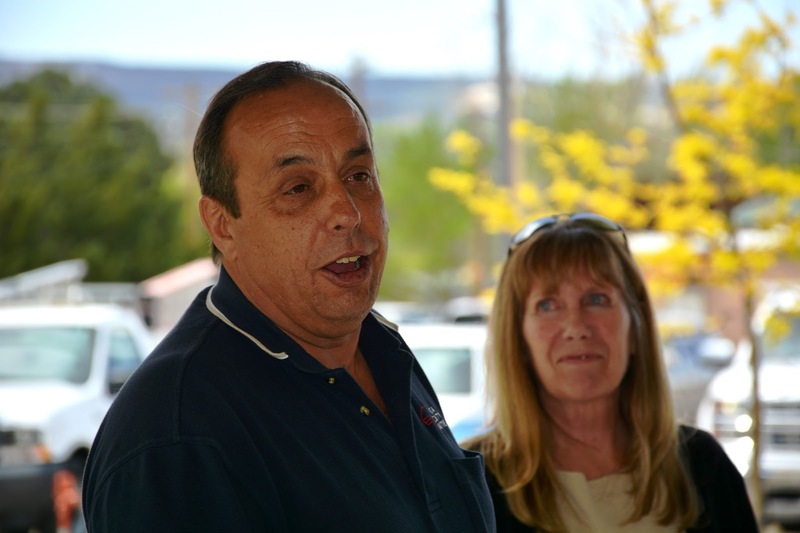 Depart of Human Services and Workforce Center staff rock cartoon t-shirts for April's Child Abuse Awareness Month. 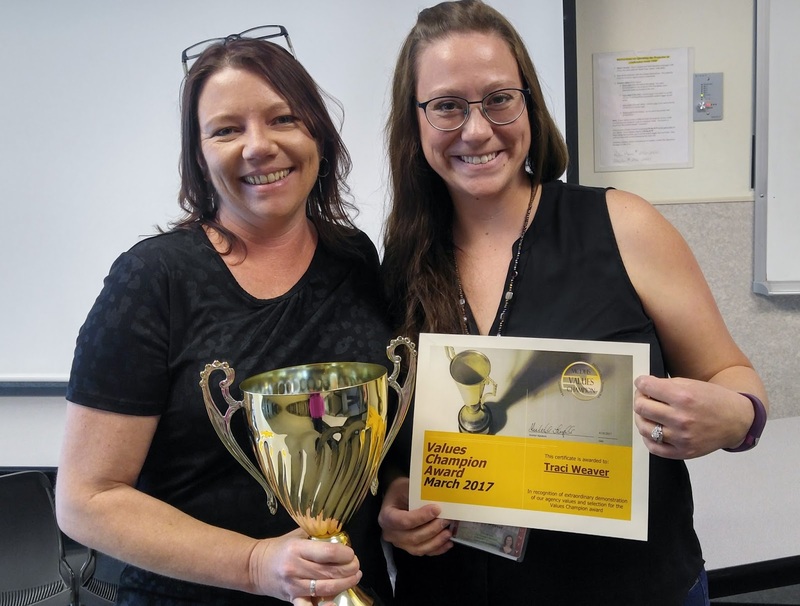 DHS/WFC Values Champion Traci Weaver (right) is presented with a certificate and trophy by DHS Manager Jessica Marler.